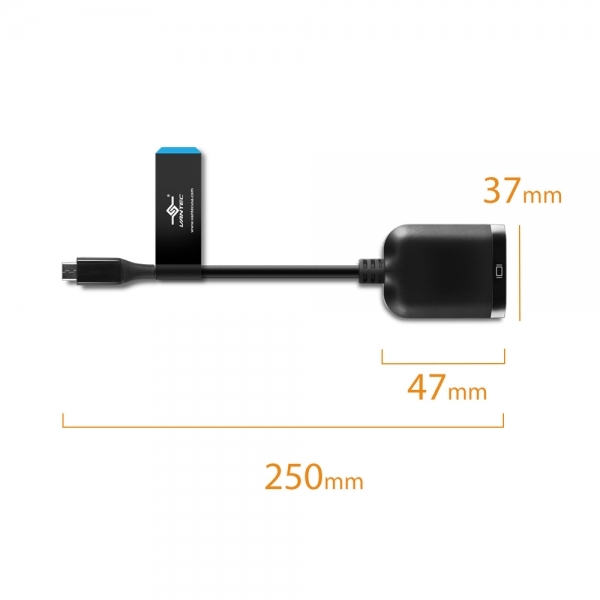 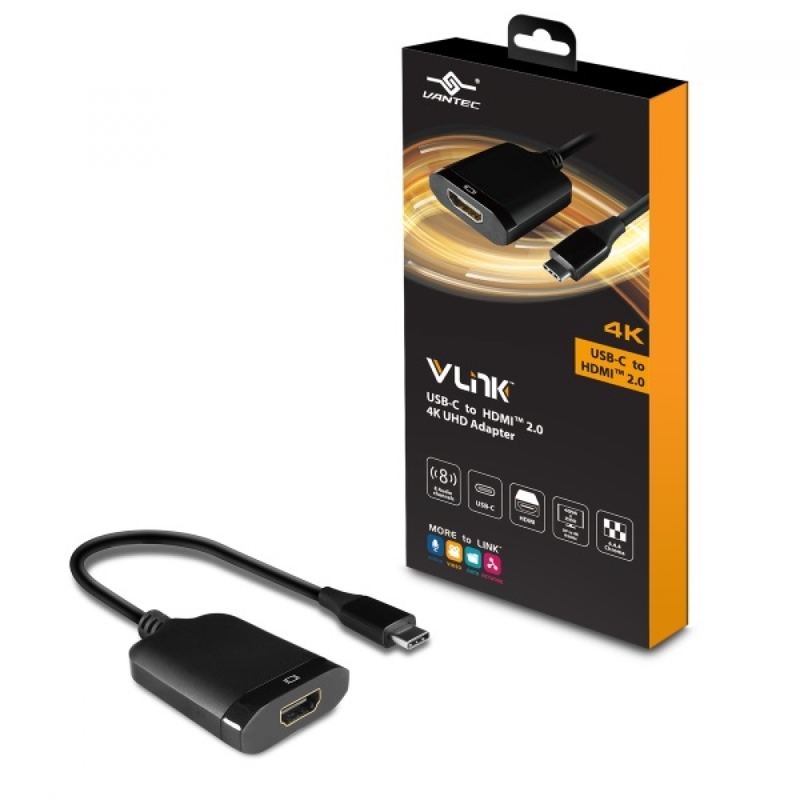 The Vantec VLink USB-C to HDMI 2.0 4K/60Hz Active Adapter brings a new level of clarity to when connected 4K monitor. 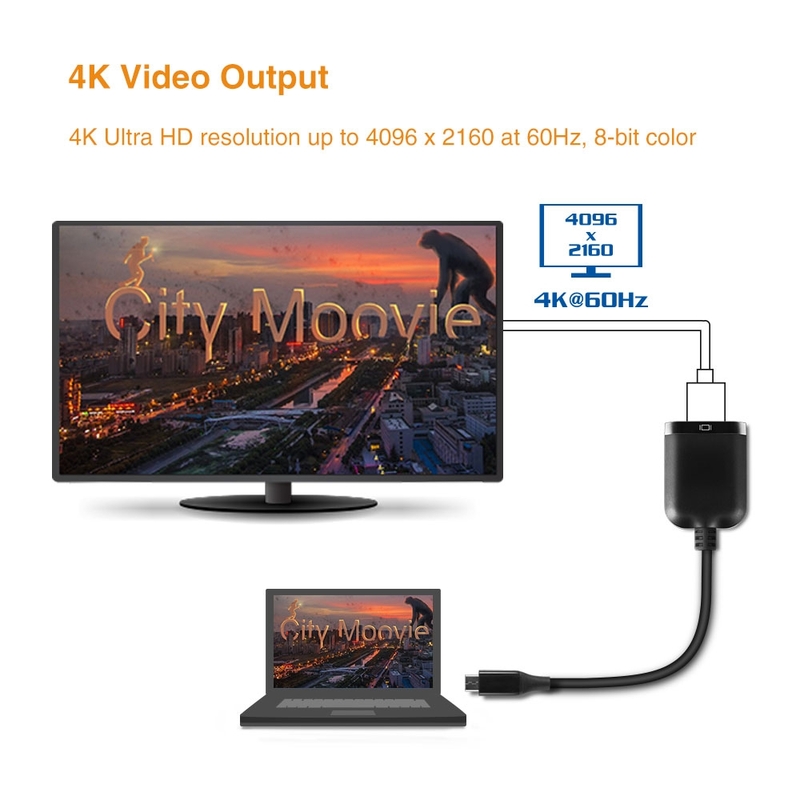 This adapter offers 4K resolution at 60Hz smoothness to bring out the sharp flowing images and video in everything displayed. 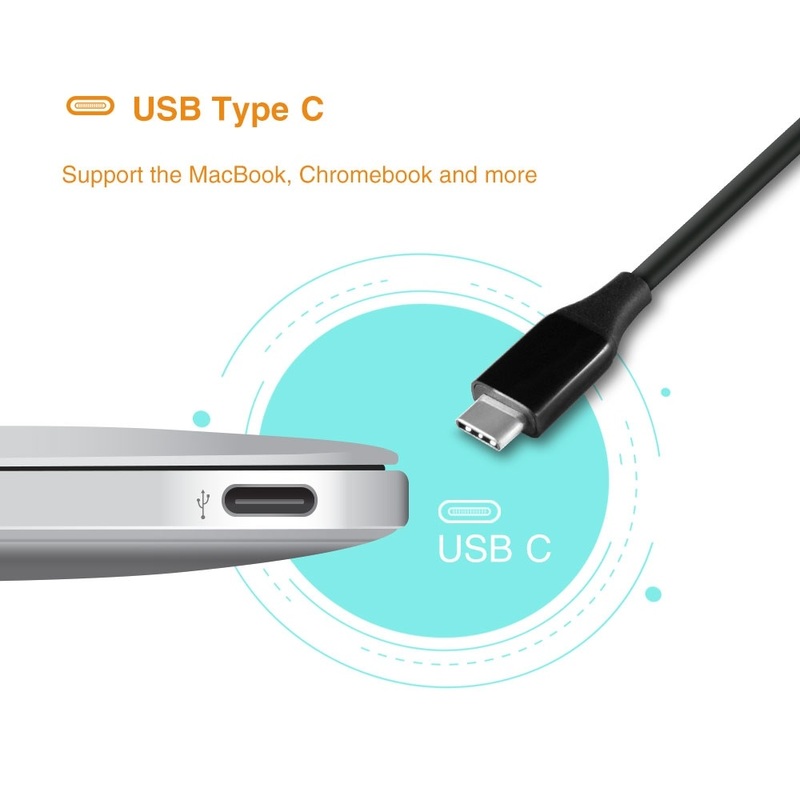 It is so easy to connect using reversible USB-C connector to your latest system or laptop. 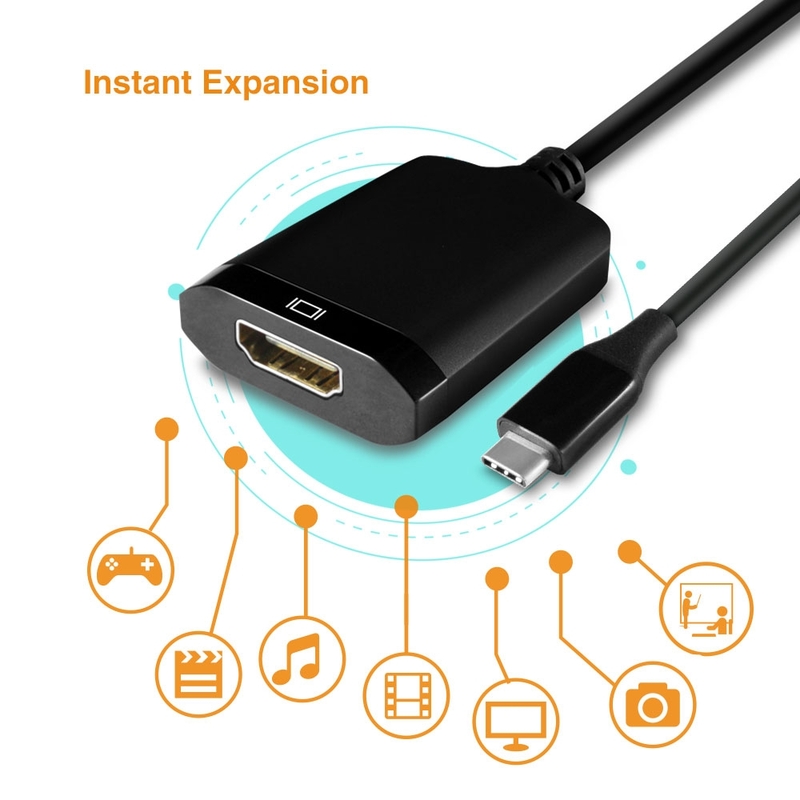 This empowering adapter gives you the additional huge screen for any viewing pleasure. 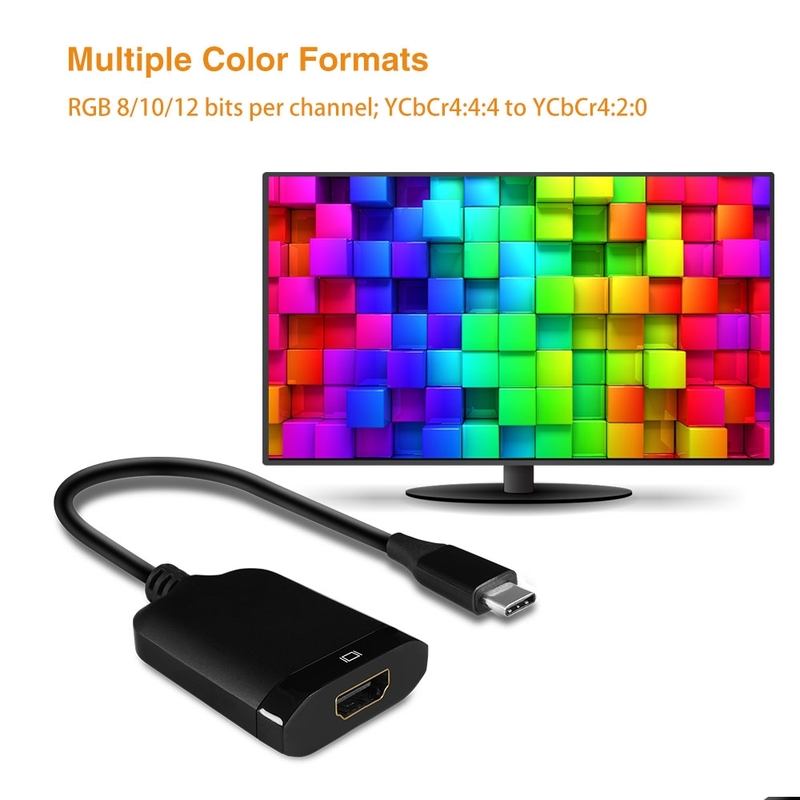 Beside for gamers, the Multiple Color format and wide luminance range capability also empower professional photographer, architect or designer with extremely detailed rendering of images. 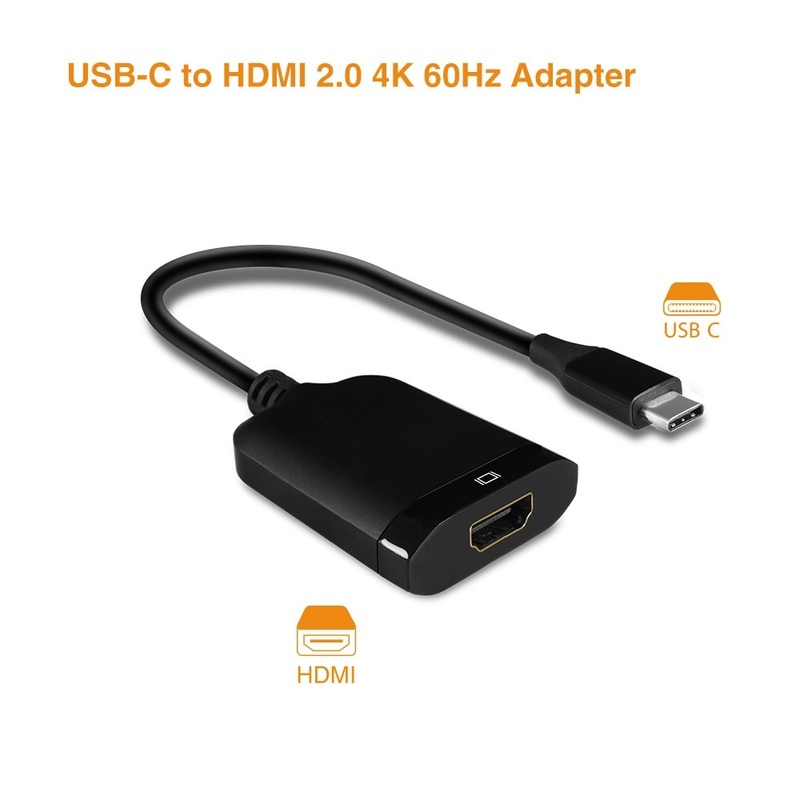 This adapter is ideal for any application that is beyond the ordinary.